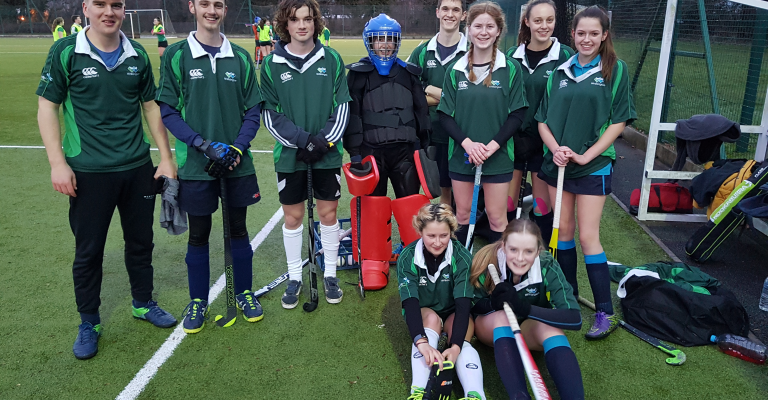 Writhlington and Mendip Studio Sixth Form Mixed Hockey team started well against a well organised and large Chew Valley squad. Although we only had 10 players, we covered the ground well, winning possession and attacking the wide areas with several runs from Ollie down the right. We passed the ball nicely in midfield between Molly, Jo and Lucy and managed to set up several shooting opportunities in the “D” for George and Charlie. In the second half, we continued to attack and George fired home to give us a 1-0 lead. Although Chew Valley fought back, our defence was more than equal to it, with player of the match Ben pressing hard, turning almost every tackle into an attack. A great first game folks, well done!